WASHINGTON, D.C. – Thanks to fuel economy standards, consumers buying a model year 2025 car or truck can expect thousands of dollars of savings over the life their vehicle, according to a new analysis by Consumers Union, the policy and advocacy division of Consumer Reports. The report finds that consumers’ average net savings is approximately $3,200 per car and $4,800 per truck, if the current Corporate Average Fuel Economy (CAFE) standards for years 2022-2025 remain in place. 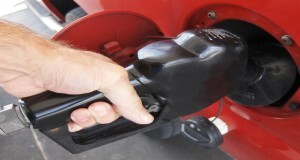 If gas prices rise from today’s historically low levels, the savings would rise to $5,700 per car and $8,200 per truck. Automakers are over-complying with today’s standards (even while experiencing record sales and record profits). The updated CU analysis also finds that consumers can expect immediate savings from lower fuel consumption. As most consumers finance new vehicle purchases, compliance costs are spread out over the average loan term (between 5-6 years). With annual fuel savings outweighing annualized compliance costs, consumers can expect net positive savings, starting in the first month of ownership. Those savings accelerate when loan payments end, typically after year six. This report follows a recent CU survey published in June that found strong consumer demand for more fuel efficient vehicles. Over 80% of respondents believe increasing fuel economy is important and a strong majority (70%) believes government should continue to set the standards for higher efficiency. More than half of all Americans expect higher fuel efficiency in their next vehicle purchase. This report bases the costs of complying with 2025 CAFE standards on assumed incremental technology costs for new vehicles, as estimated by NHTSA and the EPA using automaker data, along with associated insurance and maintenance costs. Fuel savings are based on an analysis of estimates for miles driven using future gasoline prices from the Energy Information Administration.